There is nothing more romantic than seeing the sunset from the sea and immersing yourself in live jazz music. Looking for a sailing cruise in Barcelona is not difficult as plenty of service take advantages of the five-kilometer coastline stretching the city. Nevertheless, if you need a relaxing moment with live jazz music on a yacht, there are not many ones that offer a premium service at an affordable price as Catamaran Orsom does. With 20-years sailing experience, Catamaran Orsom owns one of the most outstanding cruises in Barcelona with varied departure time and jazz music on the yacht. They offer daily sails, corporate events and private celebrations at a reasonable price. Based on numerous customer reviews, Orsom achieves a 4.5/5 star and enormous satisfied comments on Tripadvisors. Your feet hurt after a long day of sightseeing, don’t they? Just get on an Orsom yacht and the cruise will take you to another adventure on the Mediterranean sea. As the name of the sailing tour – Jazz & Chill Out Sail, all you get is live jazz and chilling moments on the boat. The cruise departs in the afternoon or early evening. 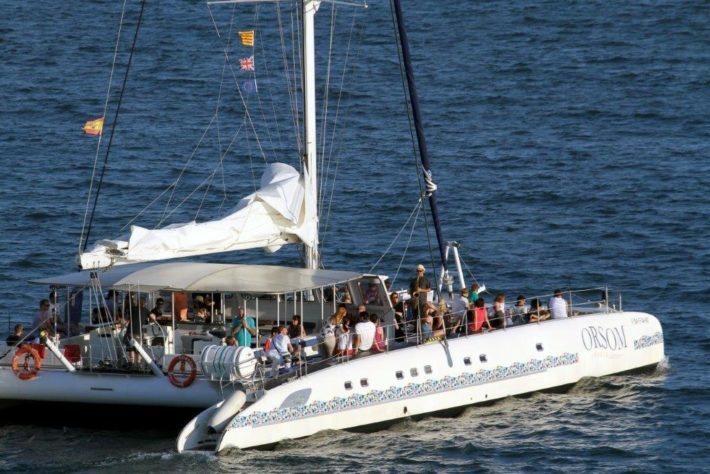 Among sails that Catamaran Orsom offers, the most notable one is Sunset Cruise Live Music. The cruise operates from April until October and departs in early evenings, varies from 6 P.M. to 8 P.M., based on sunset time. Once on the boat, guests have an opportunity to appreciate Barcelona's skyline and watch the sunset over the sea. With drinks on hands and your beloved just next to, let jazz performances wipe out your anxiety and truly savor the sunset quietly covering a rose gold hue on the whole city. On Sunday Sail Vermouth Music Session, guests have a chance to enjoy live jazz, bossa and boleros while enjoying one local Yzaguirre vermouth drinks. Additionally, a bar is available for nibbles and other drink selections. A luxury and comfort cruise with a view to the most emblematic symbols of Barcelona, Sagrada Familia, W-hotel on Sunday is indeed an amazing little surprise for anyone. 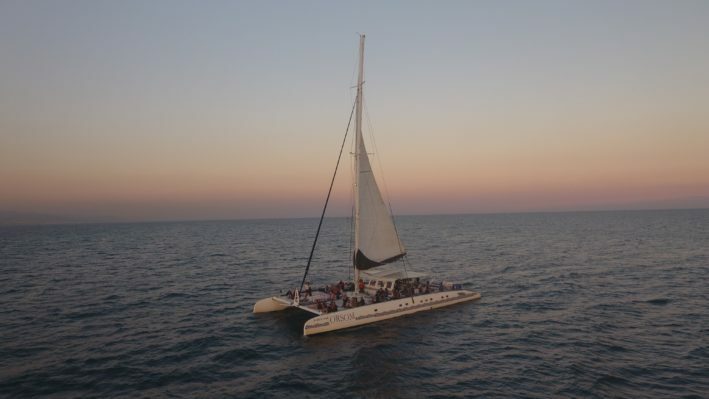 Besides cruise with live jazz performance tours, Orsom also offers Catamaran Sail & Skyline – a midday sailing with a selection of chilling music, private sea tour services for family and or a group of friends and party boat for young people. Learn more about their services and price on the official website. For all customers of Habitat Apartments, simply enter “SAVE15” when purchasing on the official website to get 15% off.